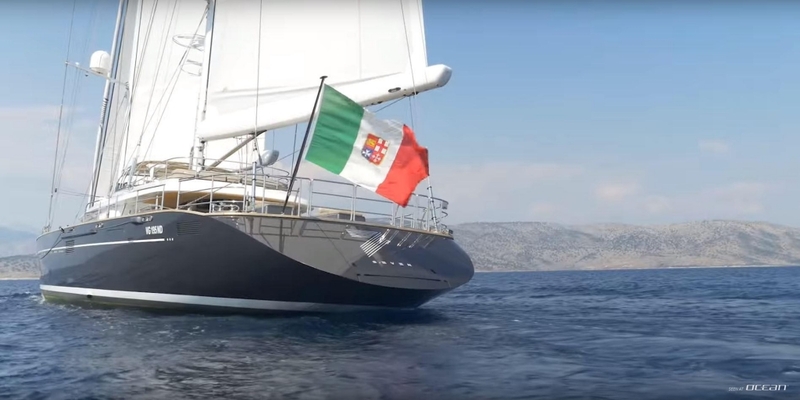 Following the footsteps of SEAHAWK and PERSEUS3 yacht for charter, all-aluminium luxury sailing yacht SEVEN boasts a Ron Holland design with interiors by Dante O. Benini & Partners and in-house naval architecture penned by the Perini Navi Design Team. Perini Navi yacht SEVEN scores with a sleek hull and superstructure like her predecessors and results below the 500 GT mark. Featuring carbon rigging, booms and spreaders for her two Panamax aluminium masts, luxury performance sailing yacht SEVEN will boast more than 2.000 square meters of sails.